When Harold Fry leaves his house to post a letter, he has no idea that he will not return for 87 days or that he will walk 627 miles all the way across the country! With only the shoes on his feet and the clothes he is wearing, Harold embarks on a quiet gentle journey of self-discovery. His quest is to save someone’s life by sheer faith, hope and determination alone. This book is a simple story with some beautiful insights into human nature with all of its joys, vulnerabilities, sorrows, regrets and triumphs. Harold and Maureen are stuck in a rut where nothing changes and they hardly even speak to each other anymore. She criticizes everything he does and he is bored and unlikely to participate in any kind of adventure. And then Harold gets a letter in the mail. 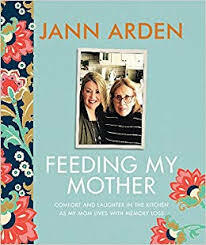 Another great pick for book club! I was inspired by characters who are open to growth and change. The book caused me to reflect on my own life, love, and longings. It’s a journey I will not soon forget. 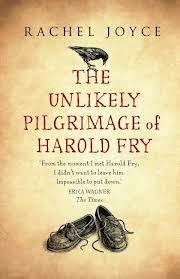 This entry was posted in Fiction, Four Star and tagged quest, Rachel Joyce, The Unlikely Pilgrimage of Harold Fry. Bookmark the permalink. Beautiful book. Characters Harold and Maureen became so real. Amazed Harold’s perseverance.